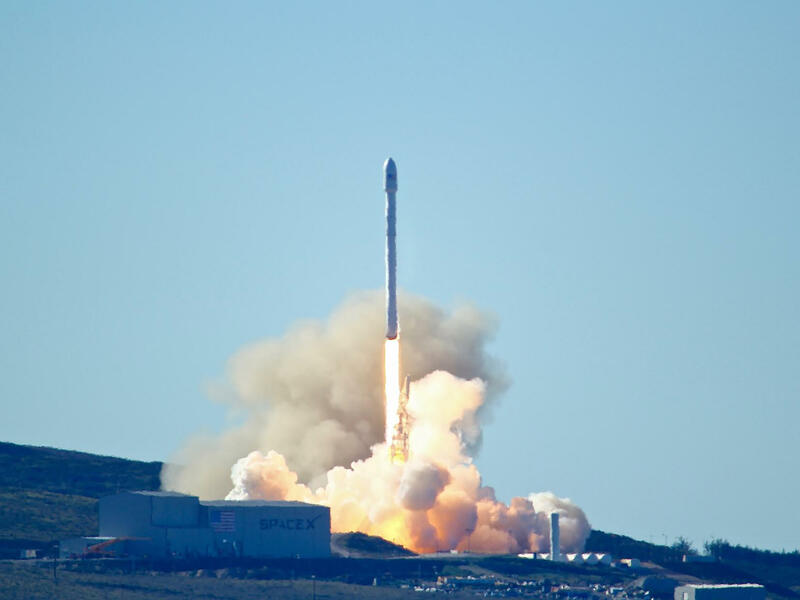 Space-X's Falcon 9 rocket with 10 satellites launches at Vandenberg Air Force Base, Calif., in 2017. The company says it will lay off 10 percent of its workforce. "To continue delivering for our customers and to succeed in developing interplanetary spacecraft and a global space-based Internet, SpaceX must become a leaner company," said the statement. "This means we must part ways with some talented and hardworking members of our team. ... This action is taken only due to the extraordinarily difficult challenges ahead and would not otherwise be necessary." A company source says SpaceX remains financially strong and can continue to "manufacture and launch at a reliable cadence in the years ahead." This year the company also will begin "test hops" of Starship, a prototype designed for human travel to Mars, according to the source.